Sustainable, local, organic. SLO food. Reduce, reuse, recycle. Green. We’re all talking the talk, but when it comes to restaurants, do we really walk the walk? 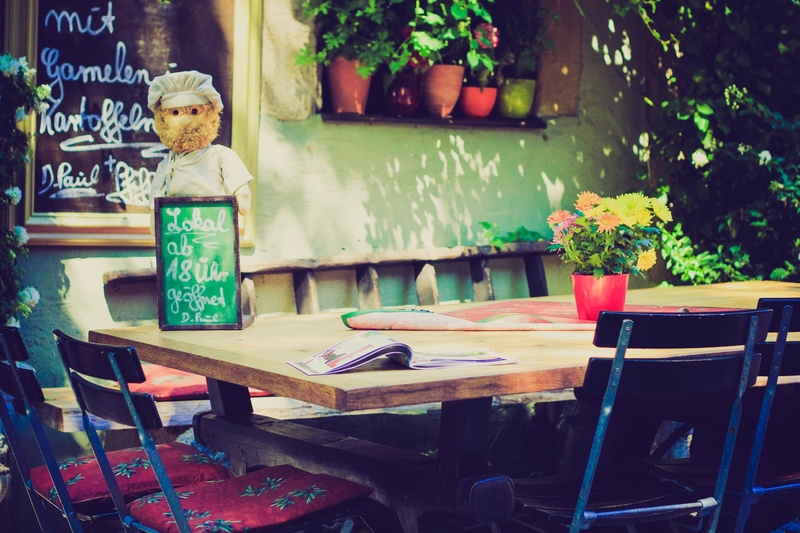 Many jurisdictions require some sustainability measures, especially during the start up phase, but what about through the life of the restaurant? Not so much. Chicago restaurateur Justin Vrany does walk the walk. His restaurant, Sandwich Me In, in the Lakeview District, was built using all recycled materials and furnishings. His purveyors are all within a 200 mile radius. In the last two years the restaurant has produced only 8 gallons of garbage. Total. And even that was picked up by an artist to reuse. He makes much of his food from scratch rather than purchasing pre-made items that include additional packaging, and he practices beak to bottom usage (from the chicken’s skin to its bones). And yes, there is plenty of meat on his menu….and bacon! According to his customers, they may come for the message but they stay for the food. Mr. Vrany is proving daily that this can be done and his hope is that others will follow suit. While this may seem like a great deal of work to implement, logic says it will certainly affect your bottom line positively…and isn’t that why we are in business? We can all do better (well maybe not at Sandwich Me In), and there are plenty of resources to help. Beginning with the design of your restaurant, choose a designer/architect team that understands sustainability (yes, my hand is raised high!). But you can’t stop there. Find a sustainability expert that knows restaurant operations in your area and get help. They can direct you to local purveyors that grow sustainably, high efficiency equipment that uses less power, processes that make the most of energy efficiency like running your ice maker at night rather than during the day, companies that will pick up your used cooking oil to recycle it as automobile fuel, cleaning products and processes that don’t harm the environment and more. And all of this can save you money. Remembering that the main reason restaurants exist is to feed people, eliminating food waste, which is estimated to be 40% of food production, should be our highest priority once the operation is up and running. Organizations like Food Tank address issues around food, food security and food systems and people like journalist and food waste consultant Jonathan Bloom spread the talk. Check out his book, American Wasteland: How America Throws Away Nearly Half of Its Food (and What We Can Do About It) , below. If we all get involved in the conversation then restaurants can lead the way, rather than being the latecomers to the party.